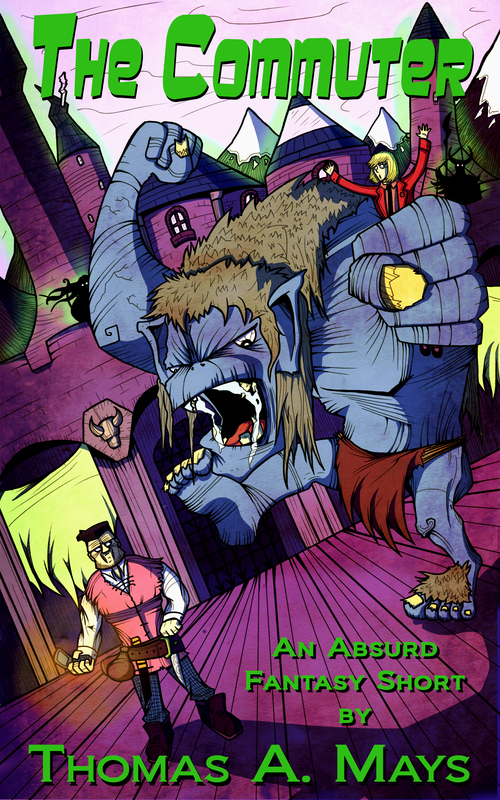 “THE COMMUTER”: A new, absurd short fantasy by the author of A Sword Into Darkness and REMO! Jack is a regular sort of fellow — a father, a husband, an office drone, and a daily commuter — living in a fantastical, changed world. Jack lives in the Fractured Lands, our Earth intermixed with the realm of Faerie after the Great Stumbling of 1888. But Jack lives his life as non-fantastically as he can, sticking to the human areas and Never Getting Off The Damned Train. However, when Faerie intrudes upon his life and endangers his daughter, everyone is going to find out that he stayed away from the Fae for THEIR benefit, not his own. Because Jack is not just a dad and an office drone. Jack is a former Marine, trained to fight the Fae, and fight them he will . . . .
It’s already garnered three awesome 5-star reviews and ranks #45 on Amazon’s short story SF&F list, but it needs more and it needs to go higher! If you are a reviewer and would like a complimentary review copy, just message me at any of my links. If you’d like to patron me and check it out for yourself (THANK YOU), it’s only 99¢ for your Kindle or Kindle app. If you are a Prime member with a Kindle device or a member of Kindle Unlimited, you can even read it for free!!! And, please, if you can, post a review on Amazon or the site of your choice. Hank Rollins is old, tired, and thoroughly regretting the missed opportunities of his youth. More than a half century ago, he passed up the chance to do something wonderfully foolish, and utterly impossible. A chance to reach for a different kind of future. But the door may not be completely closed, because Hank is getting postcards from a boy who no longer exists, and a world that never came to pass. 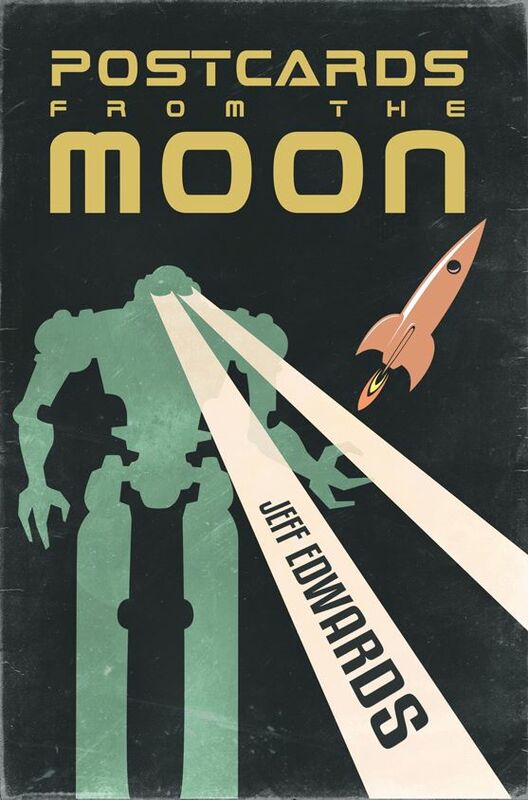 I’ve read Jeff’s short (and will be posting my review later today on Amazon — I’ve already rated it a VERY deserved five stars), and it is AMAZING. It is a literal love letter to a lost future, full of finely wrought nostalgia and such a sense of wonder that it may well buoy your spirit for the rest of the day. The images and possibilities within are going to populate many a delightful dream. I can’t wait for the movie Tomorrowland, but I hardly need to — this short story offers all that I could expect out of that film and more. The ONLY thing wrong with the story is that it did not come with a forwarding address to where I could write Papa Hank back. Because I would send that letter and go TODAY if I could! Like mine, it is for sale on Amazon for a mere 99¢, and that is a steal for what I got back from it. 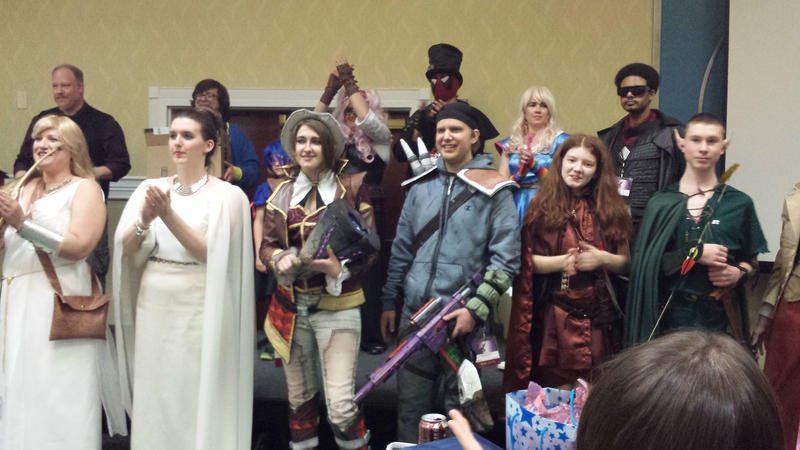 Also this weekend, I got to go to RavenCon up in Richmond, VA. 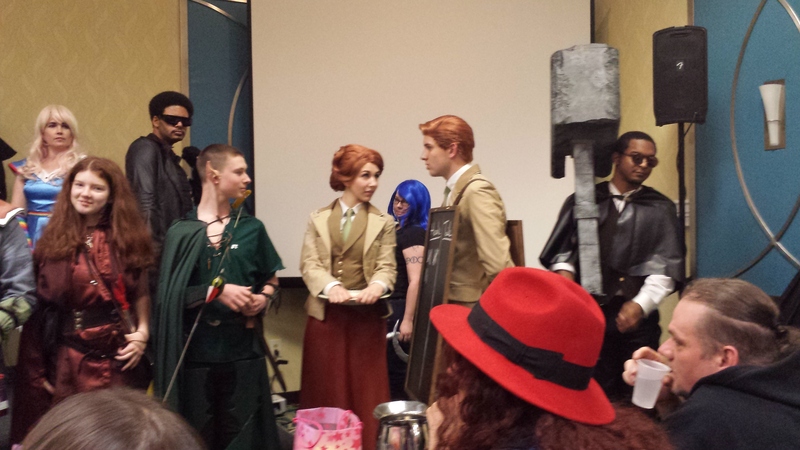 This was a GREAT con, as it was last year. Hopefully, I can guest at it next year when they move to Williamsburg. I was worried about Pro/Anti-Sad Puppy divisiveness, but while it was mentioned and referred to, there was no controversy that I saw. 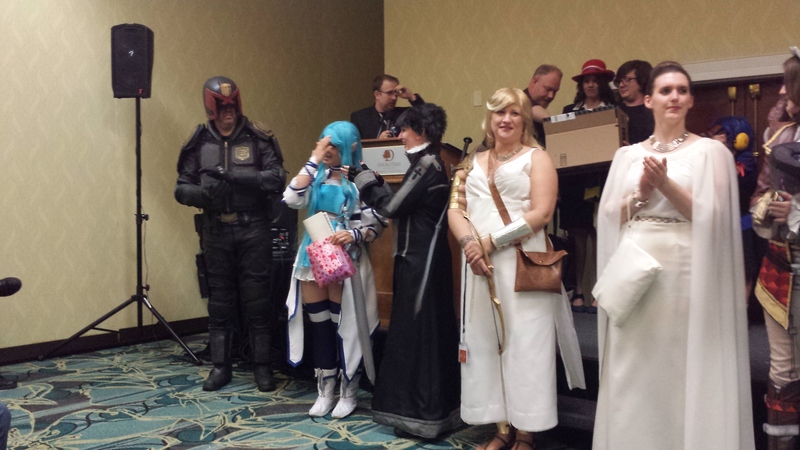 The folks there who were nominated for Hugos — whether on a slate or not — were all treated like the honored elites of the industry they were. That gives me hope that fandom will find a happy middle-ground and move on from this teapot tempest. Allen Steele was guest of honor, along with Frank Wu as artist/scientist, and a whole passel of people that I met last year. Allen Steele told a number of great stories about coming up in the industry and breaking rules you REALLY should not break. 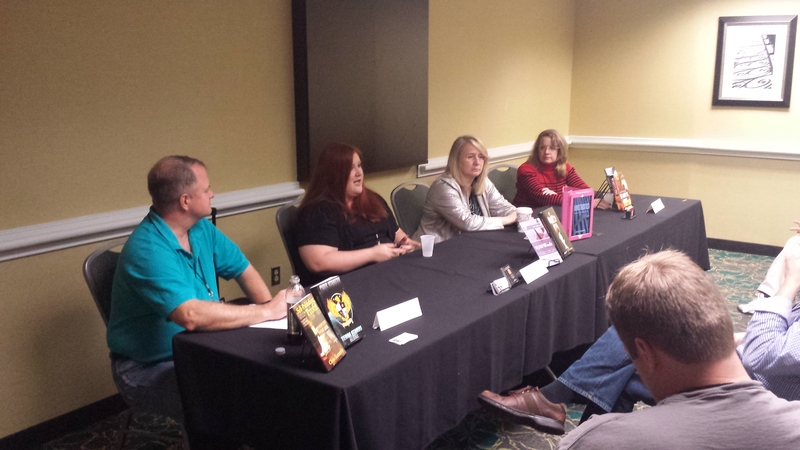 I also sat in and participated in a number of Indie Publishing panels with the prolifically awesome Chris Kennedy. 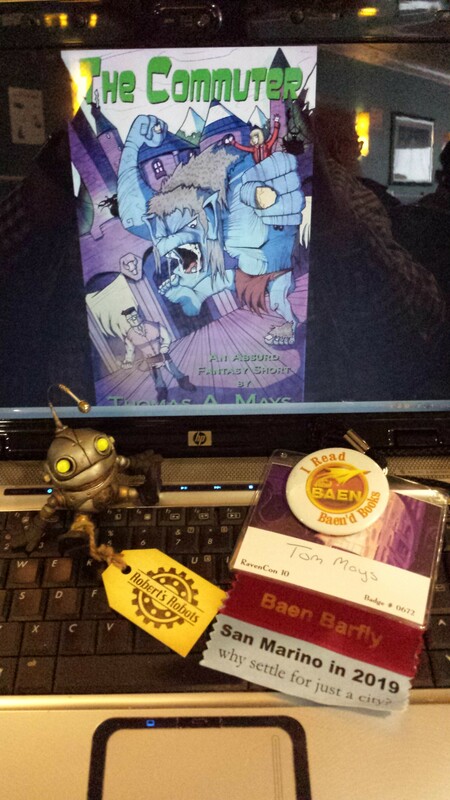 I hung out in Baen’s Barfly Central and chatted with Jim Minz, Steve White, Jim Beall, Warren Lapine, and Lou Antonelli (forgive me if I left out your name, honored luminary, there were just so many fantastic folks). I also ran into John C. Wright, Lawrence M. Schoen, Michael Z. Williamson, David Walton, Bud Sparhawk, Jennifer R. Povey, Christopher FREAKIN’ Nuttall, Karen McCullough, Gail Z. Martin, Stuart Jaffe, Chris A. Jackson, and Danielle Ackley-Mcphail. Bill Garner leaned forward in the darkness as the safe’s door popped open at last. Electronic dance music thumped up at him from the floor below, but not loudly enough to drown out the unexpected squelch of something within. Bill jumped back. He felt certain that cash and jewels were fairly silent in most circumstances. Something else lay concealed in the safe’s shadowed interior. He looked around him. He was still alone, still undiscovered. Deciding to risk it, Bill flipped on his flashlight and shone it inside. A glistening, mottled tentacle curled tighter about a golden urn within the safe. 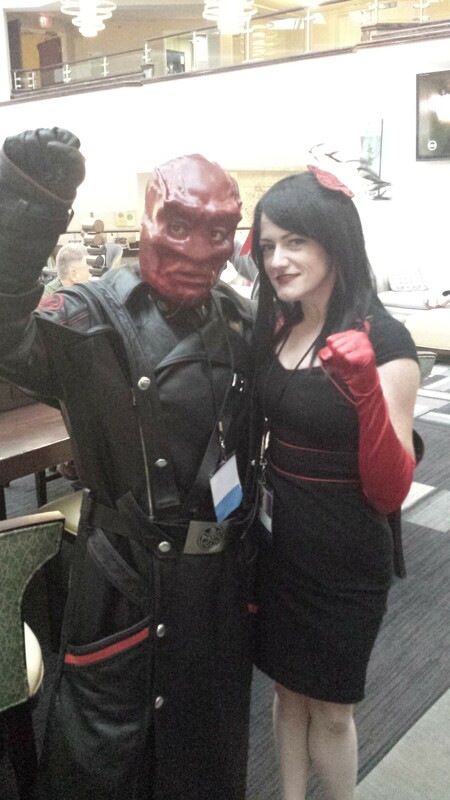 The panel agreed that I’d appropriately barbed my hook. 🙂 I’m intrigued enough that I may extend it into a full story. 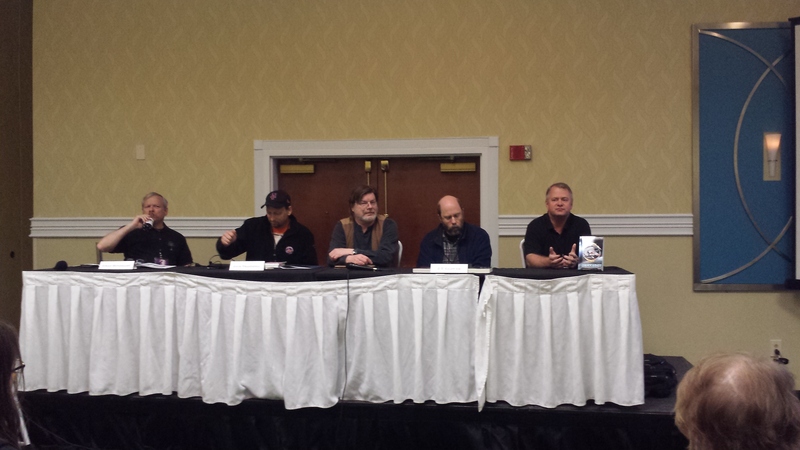 The best advice from the panel was from the GREAT Jack McDevitt: “Don’t try to tell a story . . . instead, craft an experience for the reader.” It’s one of those seemingly simplistic bits of advice that looks not-very-noteworthy in the first analysis, but once you think about it more, it is pretty damn important. It really does change the way I look at stories.